Crohn’s disease is a chronic condition of the intestines. It causes inflammation in the digestive system and leads to the formation of ulcers and fistulae, which are abnormal connections between organs. Sufferers struggle with many debilitating symptoms, including diarrhoea, bleeding ulcers, severe pain, bloating, cramping, weight loss and anaemia. The condition also generates an excessive quantity of Tumour Necrosis Factor (TNF) that indiscriminately kills gut flora and therefore compromises food digestion. Over time, inflammation from the stomach spreads throughout the body and into the joints and eyes. The exact cause is unclear but scientists suspect it has something to do with genetic disposition and a range of environmental factors, including a possible microbiological infection. People aged 16-30 or 60-80 are most at risk. Crohn’s disease is more prevalent in white people. 90,000 people with Crohn’s disease in the UK. Since 2000, the amount of people needing treatment for Crohn’s disease has quadrupled. There are 47 studies investigating the application of stem cells to treat Crohn’s disease; 5 of these are using umbilical cord blood and tissue. A trial using expanded allogeneic adipose-derived stem cells reduced fistulae in 69.2% of patients; for 30% of patients, stem cells completely closed all fistulae. A new trial is using stem cells to ‘reboot patients’ immune systems. Doctors administer chemotherapy and hormone treatments to patients as a way of mobilising their stem cells. They then extract cells from their blood. Once more chemotherapy is undertaken, stem cells are reintroduced into the blood stream to create a new immune system. This new immune system accepts the patient’s gut and inflammation should subside. 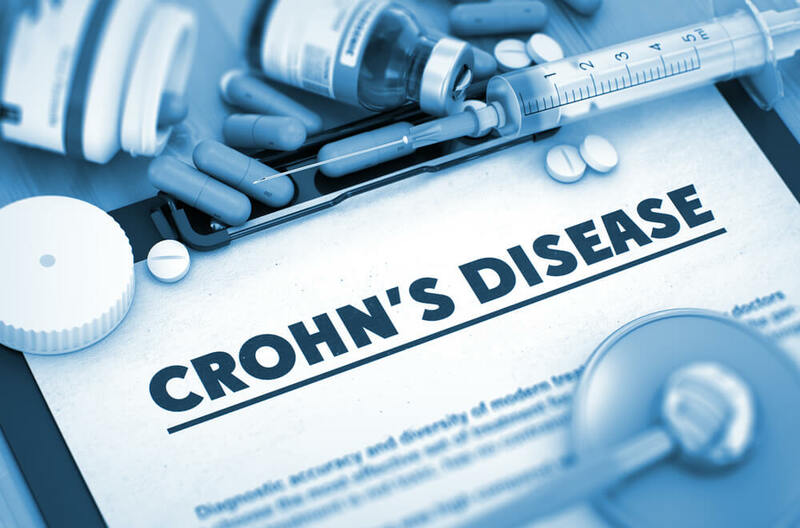 In China, a completed clinical trial at the Shaanxi Provincial People’s Hospital concluded that umbilical cord mesenchymal stem cells are an effective treatment for Crohn’s disease, although there were some mild side effects. However, doctors also highlighted the necessity of a better method to distribute cells right through the entire intestine. At the moment, there is no cure for Crohn’s disease but stem cells offer hope that there may be a much more effective treatment in future.